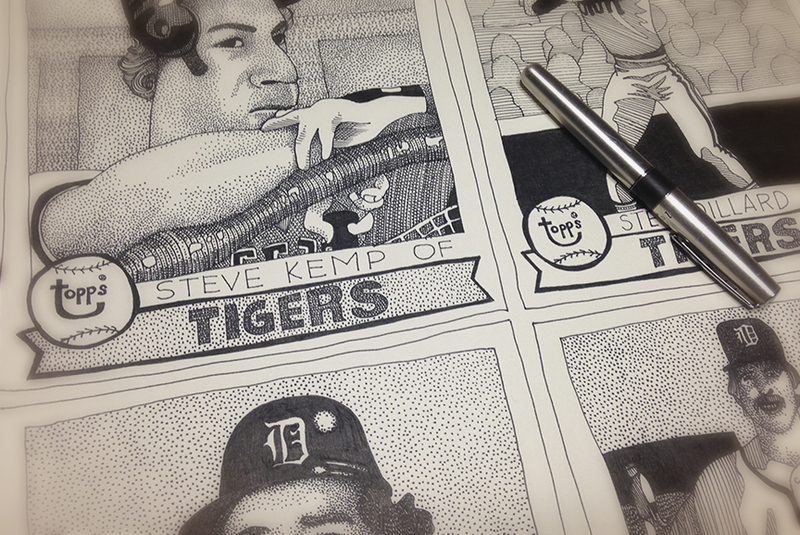 1979 Detroit Tigers (detail) 16"x18", ink on paper. This coming May we'll host a studio sale that will feature paintings, constructions, drawings and some letterpress printed notecards. Above is a detail from a series of drawings (which will be available at our studio sale) based on Detroit Tiger baseball cards from 1979. The groundwork for the dominant 1984 World Series Championship team was being laid, Sparky Anderson was at the helm and Ernie Harrell was in the booth. There are eight or nine other drawings in the series.